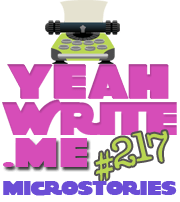 Hush Puppies — Yeah Write Microstories #217 | Oh Danny Boy! They say you should try to succeed. Onward, upward, towards that great next promotion. That’s why they call our group the yuppies. But we differ from our parents generation. Not that same suit and tie. No sir! Just our little hush puppies. This entry was posted in Yeah Write Microstories and tagged Flash Fiction, Short Stories, Yeah Write Microstories by Danny James. Bookmark the permalink. Nice abstraction of the prompt question – you’re one of the few who didn’t use a literal dog! Nice job. I was thinking of how some people refer to their feet as dogs when I read the prompt, but I like how you found a more unique take. Interesting take on the prompt. Nice. Love where you took this prompt. Nice! Extra points for the rhyme scheme.